ifty years ago, soon-to-be president and then-representative Gerald R. Ford changed the conversation about UFOs in a very permanent way. In 1966, a growing number of reported sightings of Unidentified Flying Objects were coming out of Michigan. Naturally, people were concerned. Being the representative of the state’s 5th District, Ford shared their concern and called upon congress to conduct a “congressional inquiry” into the matter. Ford proposed that either the Science and Astronautics Committee or the Armed Services Committee of the House schedule UFO hearings and “invite testimony from both the executive branch of the government and some of the persons who claim to have seen UFO’s.” Politically speaking, he was all in. Now, it’s important to remember that this is 1966. We’re talking Cold War, post-Cuban Missile Crisis, hide-under-your-desks-in-the-event-of-a-nuclear-attack America. This stuff wasn’t funny. It was weird and frightening. When Ford called for a formal congressional inquiry, he lent a degree of credibility to loose rumors, but he also calmed public panic. His commitment to transparency on the parts of the Air Force and the government sent a clear message: The government won’t hide hard truths. Ford didn’t get his congressional inquiry, but he did get a major report from the University of Colorado Boulder and the Air Force’s Project Blue Book, which was responsible for investigating UFO sightings. 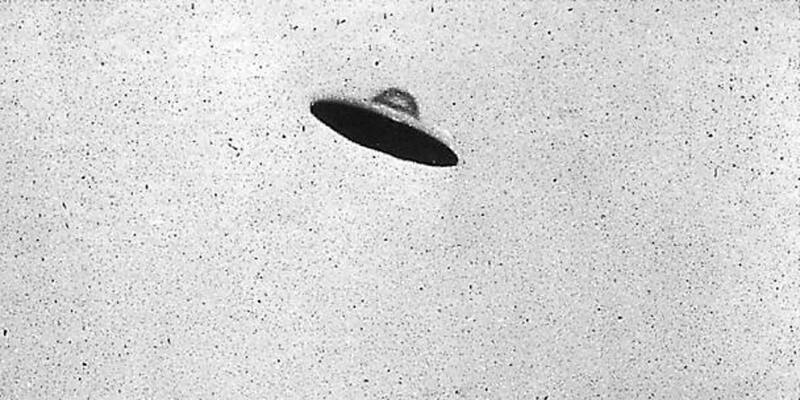 Even after the Air Force hung up its tin hat, though, civilians continued investigations into UFOs. Today, organizations like MUFON exist to catalog and track UFO sightings. As we become increasingly convinced of the probability that we’re not alone in this universe, the investigation of unexplained events and UFO sightings seems more urgent and more credible than ever before. There’s reason to think that without Ford’s willingness to risk his reputation on an insistence that UFO sightings be investigated, there may not have been an investigation or a report at all. Ford gave the witnesses behind these sightings credibility and drew attention to a need for an explanation, no matter how vague. Though there was never a formal congressional hearing, Ford’s push for transparency from the government and the military was an important move, and had everyone from politicians to mailmen thinking about UFOs seriously. Whether or not we have the “whole truth” is still a matter that conspiracy theorists, and those who want to believe are ready and willing to debate. Any way you spin the flying disc, though, the original man who wanted to believe just might’ve been Gerald R. Ford.